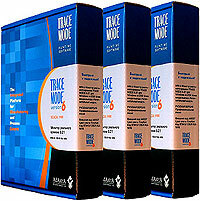 The TRACE MODE® software is divided in development and runtimes. The products with identical functionality are divided in two lines: professional and basic. That enables meeting maximum user requirements for flexibility in software selection and optimizing the overall project cost. The programs of professional and basic lines have different project file formats. All projects developed in the basic line development system may be converted into professional format. The price for conversion is given in the TRACE MODE price list. The users, who convert projects into the professional format are entitled to the complimentary copy of TRACE MODE professional development system. The development systems of both basic and professional versions content development tools, documentation (printed or electronic) and the identical set of free I/O drivers for 2586 PLC and I/O cards. Both systems can be used for high quality control systems development. All necessary development tools and components – drivers, libraries, OPC-clients, samples and templates are available in the professional development system. Professional system ensures trouble free working on the project. The profiler available in the development system has time limit for continuous operation in real time – 2 hours. After the limit exceeded, all I/O operations will be blocked (including SQL-queries processing), but profiler will continue working for the next 3 days (72 hours). Afterwards the profiler should restart. The professional development system is licensed for 1 PC and is protected with hardware key (LPT or USB). The development system has the following options: 16, 32, 64, 128, 256, 512, 1024, 2048, 4096, 8192, 32000 and 64000 I/O points. A TRACE MODE I/O point means a source or receiver of external data, e.g. PLC signal, OPC or DDE tag, etc. Depending on device and on driver used the digital inputs may be packed by 8, 16, 32. In that case several physical digital signals will be equal to one TRACE MODE I/O point. A development system may be upgraded to a version with more I/O points with extra payment (see price-list). In other cases it is more convenient to use TRACE MODE basic line programs. the basic profiler available in the free development system has time limit for continuous operation in real time – 1 hour. After the limit exceeded, all I/O operations will be blocked (including SQL-queries processing). Afterwards the profiler should restart (the PC should not be rebooted). Note! The printed "User Manual", graphic libraries and technical support for the basic line development system may be purchased separately. The basic TRACE MODE version is also convenient while much setup work is required at many distributed sites. The TRACE MODE profiler may operate in the network. Thus using the basic version one can make hundreds of project nodes and run them on many PCs for the network exchange testing and debugging. The technical support is provided both to users of commercial TRACE MODE software products, and to users of the free development system! The support terms and conditions are described in the SUPPORT section of the site. 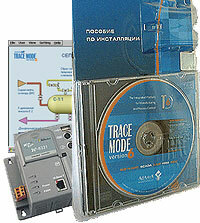 In order use the TRACE MODE technical support one should register his copy at www.tracemode.com. The TRACE MODE software updating within one version is free for all registered users (both commercial and free). Access to update downloads is granted to users who passed primary registration at the site and who registered his copy of software. Licensing policy for runtimes of both basic and professional lines are given below. TRACE MODE license policy enables flexible and money saving software selection for the user project. The cost of server products depends on the number of channels used in a project node. Channel is a fundamental TRACE MODE notion. It designates a primary TRACE MODE information object, possessing of the set of attributes. The attribute is an elementary variable (number, line, time mark etc). A channel example, is an informational structure describing PLC value reading and primary data processing. In this case one channel includes input of information from the data source (I/O point), noise filtration (for analogue signal), peak suppression, converting from hardware values to the physical ones and so on. If required, each channel may call a user program for additional data processing. The intermediate values are stored in the channel attributes or in the local variables of the user programs. All these actions are done with one elementary structure – channel. Actually the TRACE MODE channel concept is even more ample. The channels are used to call HMI screens, logic programs or SQL-queries to external database. That is why the number of channels in a project may exceed the number of I/O points (data sources and receivers). Note, that the runtimes are licensed for channel number in the project node, while the development system is licensed for I/O points in the whole project (the project may content many nodes). The real time monitors have the following channel number options: 16, 32, 64, 128, 256, 512, 1024, 2048, 4096, 8192, 32000 и 64000 channels. The channel number options available for each product are given in the ONLINE SHOP section. Note, that the 0 channel is always reserved for system needs and is not available to the user. Thus the number of channels that can be really used in a project is always less than the indicated number of channels. TRACE MODE servers are always licensed for one PC and are protected with electronic key. Exception are hot redundant servers – they are licensed for 2 or 3 PCs (dual/triple). In most cases the number of client connections to server is not limited. TRACE MODE and T-Factory clients are used at additional workstations in the distributed control system. The client products can not get data directly from I/O devices, standard interfaces, OPC, DDE, ODBC etc. They interact with TRACE MODE and T-Factory servers only. The TRACE MODE and T-Factory clients are licensed by template number (screens, programs, SQL-queries, documents) in the project node. The number of templates may be unlimited. The template number options available for each product are given in the ONLINE SHOP section. TRACE MODE clients are always licensed for one PC and are protected with electronic key. The TRACE MODE softlogic runtimes for controllers are available with various options and for different operating systems. Each softlogic product has its own licensing policy. The common name for softlogic class TRACE MODE runtimes is Micro RTM (Real Time Monitor). Micro RTM is being installed in one controller and provides execution of programs for one project node of the MicroRTM type. Software products that include one or more Micro RTMs are called Micro TRACE MODE 6.
number of installations in PLC licensed (licenses for 1, 10, 100 and 1000 PLCs are available). For multiple installations licenses the price drops exponentially.